Roof Iowa is so humbly honored by the support of the Ankeny and Des Moines Area community by written in nominations (not by selection in the drop down on the ballot)! 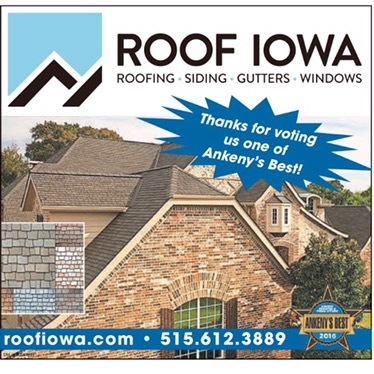 Thank you to everyone who voted us as runner up by nomination and to every one of our happy customers that keep passing the Roof Iowa name along for roofing repairs and replacements. Financing made simple, Low Interest, Flexible Payments offered now for all customers!